Switzerland vice-captain Valon Behrami has assured that Granit Xhaka and Xherdan Shaqiri won’t repeat the Eagle celebration which could have quit easily got them suspended during the World Cup. The pair made the two-headed Eagles gesture during their previous group stage game against Serbia and shortly after, their opponents reported the incident to FIFA. Initially, there were suggestions that the duo could be suspended for at least two international matches but after a show of leniency, FIFA decide to fine $10,000 from each whilst captain Stephan Lichtsteiner was fined around $5,000 for joining in the celebration despite having no link with Albanian, who are said to have a poor political relationship with Serbia. Arsenal midfielder Granit Xhaka has escaped a serious knee injury during a training session with Switzerland. 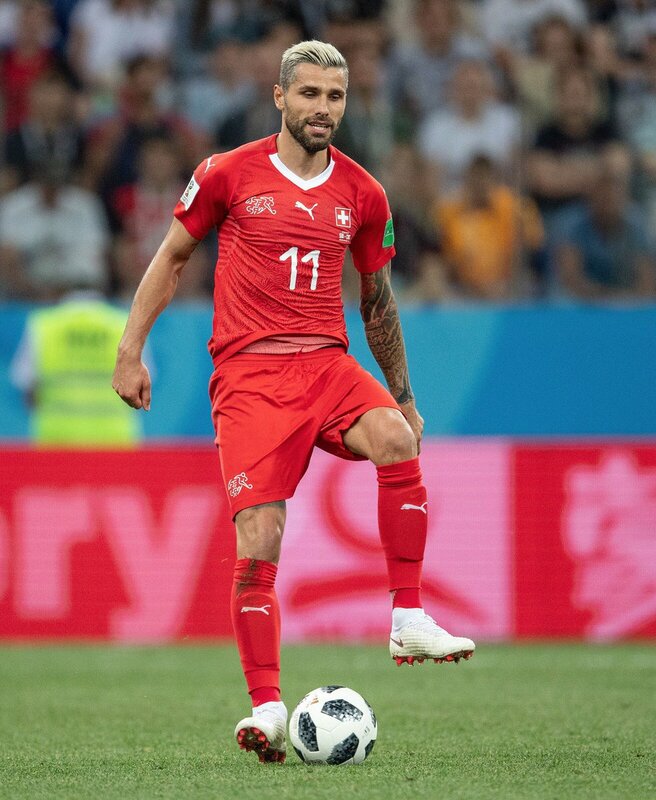 The 25-year-old recently suffered a nasty collision with compatriot Valon Behrami in training and reports thereafter suggested that he could miss his country’s campaign at the summer World Cup.